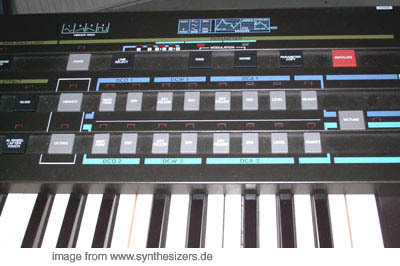 • Casios debut was the CZ series (the so called Cosmo Synthesizer) with Phase Distortion, very close to FM but modulating the Phase instead of the Frequency. They also came up with a 16Bit Sampler with quite a lof of Features at that time and the next generation of PD called iPD: the VZ series also sold under the name of Hohner (germany). after that no real synthesizer was ever made, looked a lot like Casio couldn't get rid of their image of the "cheap" which wasn't true at all in terms of sound. A and don't forget the VL1 (Trio - DaDaDa) mini calculator/synth which is "very Casio"! • Casios Synthesizerzeit begann mit dem "Cosmo Synthesizer", der CZ Serie und nutzte dabei 8stufige Time-Level Hüllkurven. Die Phasenverzerrung genannte Synthese ist der FM nicht unähnlich und wurde mit der VZ Serie als iPD noch verfeinert und durch einen der ersten bezahlbaren Stereo Sampler FZ1 erweitert. Auch er hatte einige sehr interessante Features. Die zweite Generation wurde auch unter dem Hohner-Namen verkauft. 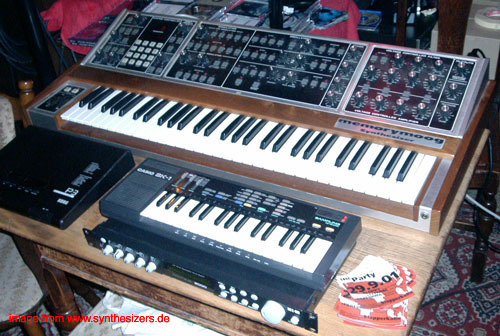 Danach hörte man von Casio als ernstzunehmendem Synthesizerhersteller nichts mehr. 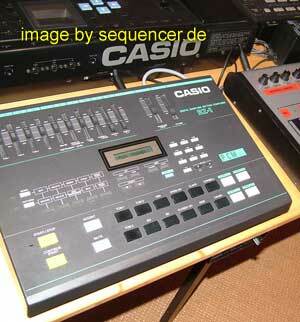 • 10 CASIO synths found in database (order by: synth name).